The event, hosted in the Members’ Dining Room, saw a guest list of 200 names across the dance and political sectors. 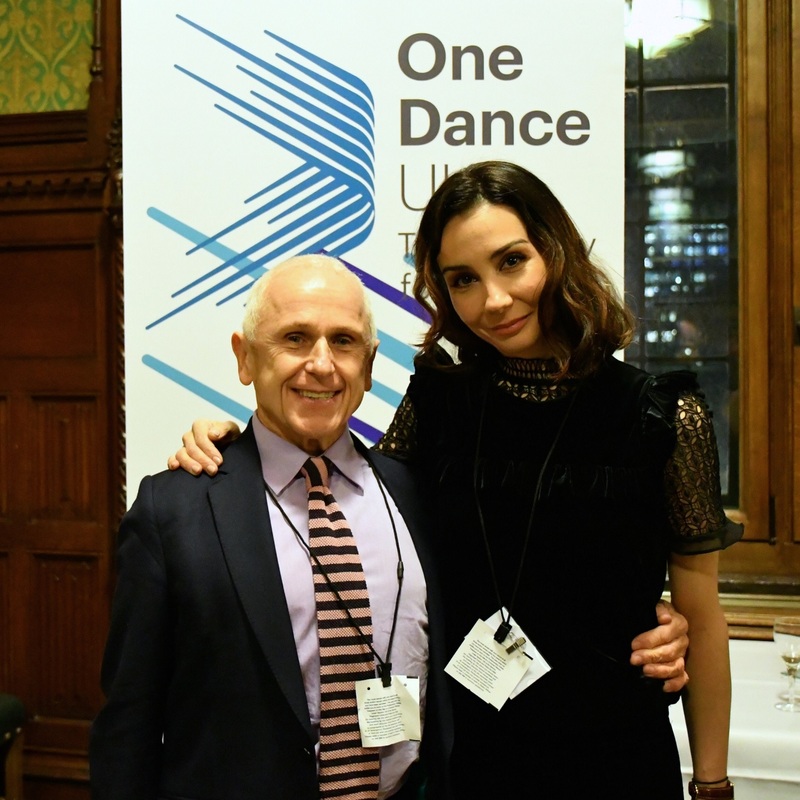 Guests in attendance included Artistic Director of English National Ballet Tamara Rojo CBE, Artistic Director of Sadler’s Wells Alastair Spalding, and Wayne Sleep OBE. Delivering messages on the night were One Dance UK CEO Andrew Hurst; Executive Director of Dance Umbrella Anu Giri; Baroness Jane Bonham Carter (Liberal Democrat Spokesperson for Culture, Media and Sport, and Vice Chair of the All-Party Parliamentary Dance Group (APPG)); and Baroness Gloria Hooper (Co Chair of the APPG). John Glen MP, Parliamentary Under Secretary of State for the Department for Culture, Media and Sport, also delivered a video message. The evening closed with a performance from tap dancer Annette Walker, accompanied by double bass player Gary Crosby.